Preowned 3.8L Genesis Coupe engines are being acquired through salvage yards for resale to consumers online at the PreownedEngines.com company at http://preownedengines.com/genesis-coupe-3-8-engine-sale. Hyundai released its Genesis sports car in the year 2008 that featured a high performance 6-cylinder motor. The Preowned Engines company is now acquiring 3.8L Genesis Coupe engines through salvage yards to help consumers find used blocks online. More details about this inventory can be reviewed by visiting http://preownedengines.com/genesis-coupe-3-8-engine-sale. The Lambda V6 blocks that are currently featured have been removed from Hyundai vehicles by dismantlers at known junk yards across the United States. The 3.8-liter editions will be sold in 306 and 348 horsepower editions to the public. Special freight terms are now in place for body shop parts buyers or mechanics planning to purchase the used Genesis engines for sale. "The RWD inventory of complete motors that we are now able to list on our website varies in mileage and condition to provide the most value to consumers," said a PreownedEngines.com company rep. Since replacement auto parts are not always tested before distribution to the public, the POE company has arranged a testing and evaluation program with its suppliers. This new system in place will cut down on the errors or issues that might be present in the second hand blocks acquired. All 3.8L Coupe motors listed as in stock work with the ZF automatic transmissions. "The current Hyundai inventory we have added to our website now includes long-term warranties for originally installed parts," said the rep. The Preowned Engines company has made a new change to its customer support department. All calls that come into the support number at 1-866-320-1065 now receive priority order processing to assist consumers who are ready to place orders and are not interested in a general price quotation. The PreownedEngines.com company now lists its entire supplier inventory of used motor blocks on its website for consumers to explore daily. The company has a new toll-free ordering number to swiftly process orders. 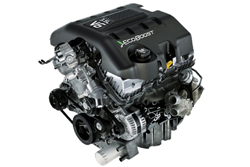 The PreownedEngines.com company helps retail OEM builds for foreign and American brands through its new web portal on the Internet.